Helen is one of the first workouts we usually try when we first start with Crossfit. If you scale the pull ups for ring rows you have a perfect WOD for beginners. Helen is perfect WOD for beginners. So all you need is 24kg kettle bell. Once you get the kettle bell you can be able to do this WOD, properly. It requires a few exercises: like running, kettle bell swing and pull-ups. 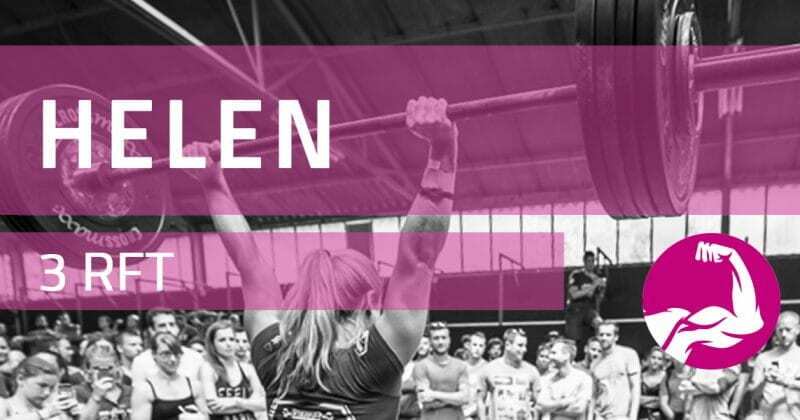 Helen is one of the greatest WOD for beginner CrossFit athletes. it’s totally right and great way to begin to your CrossFit adventure. You can also do the scaled version, if you want. Time is important for this WOD. So record your time. And you need to do 3 reps. You can see instructions… Be determined and do your Helen WOD. The key point is doing your pull ups, kettle bell swings and 400 mt. run. The beginning it will be easy but then it will getting harder. But you need to push yourself to do your best as you can. This WOD is requires strength, determination, power and passion. If you have all of them, it will great for you. Also you can watch some videos to improve your pull ups, kettle bell swings and 400 mt. run If you are not a “Helen” person. It’s also great because, its a full body WOD. Helen will not kill you. It only will make you stronger than ever. But why? Periodically, a WOD (Workout of the Day) with a name will come up, much like last week’s “Fran” WOD. These benchmarks are used as tests and measurements to see how far you’ve progressed since last performed. If you are improving at the benchmarks, you’re getting fitter and developing athletically. So use Helen as a measure of fitness and as a benchmark that can be monitored over time to record an increase in powerhttp://www.mensfitness.com/training/endurance/crossfit-wod-helen.